Ever since Grace was a toddler, we knew she had a flare for the dramatic. When she got hurt, no matter how small, she would carry on as if someone had just cut her leg off! When she was happy, she was ECSTATIC! This year, about a month before the dance recital, my hip hop class decided it would be fun to have our daughters join us in the recital. That meant Grace had 3-4 weeks to learn the entire dance that we had been working on since December! I was a little nervous that she wouldn’t be able to do it, but wanted to be encouraging… She spent 3 weeks going to her own dance class, coming to mine, and even taking a Saturday morning to work on the dance. I couldn’t believe how hard she was working! She was tired, but she kept working… she was willing to take constructive criticism without taking it too personally… I was so impressed!! 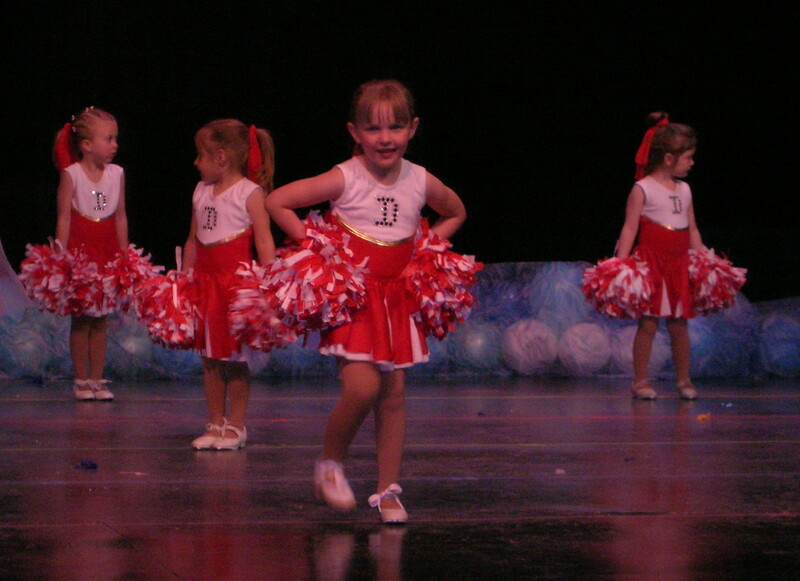 Even the day of the recital, we were backstage practicing the dance – she was trying to keep arms straight, hit the moves hard… we got on stage, and she ROCKED IT!! From my perspective, you couldn’t even tell that she hadn’t been in the class all year! I can’t wait until the video comes, so I can watch it! She wants so badly to grow up, but sometimes, she’s just a little girl… when she’s at daycare, sometimes she runs up and gives me hugs just like my preschooler does, other times, she acts like she’s too cool to do more than say hi to me. She’ll walk around acting like a Diva one minute, but then, all the sudden, she’ll have an emotional breakdown, want hugs… I don’t think she really knows how to deal with her ever-changing emotions… and to be honest, neither do I! Previous Jesus Loves the Little Children Next We’ve all been there! !